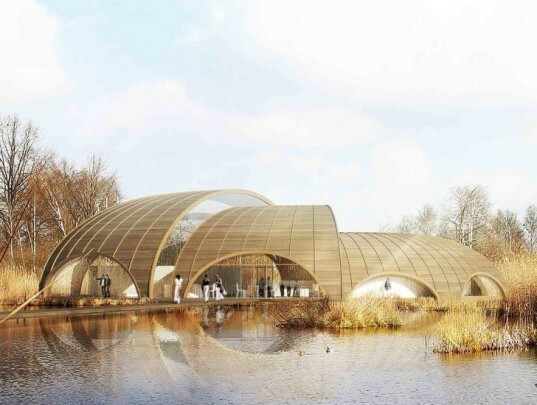 Atelier CMJN recently unveiled plans for the new Great Fen Visitor Center, a wooden sustainable structure set halfway between the wetlands and dry lands in Cambridgeshire, UK. The organic shelter is made from locally sourced wood and takes advantage of wind power, a water heat pump and rainwater collection. 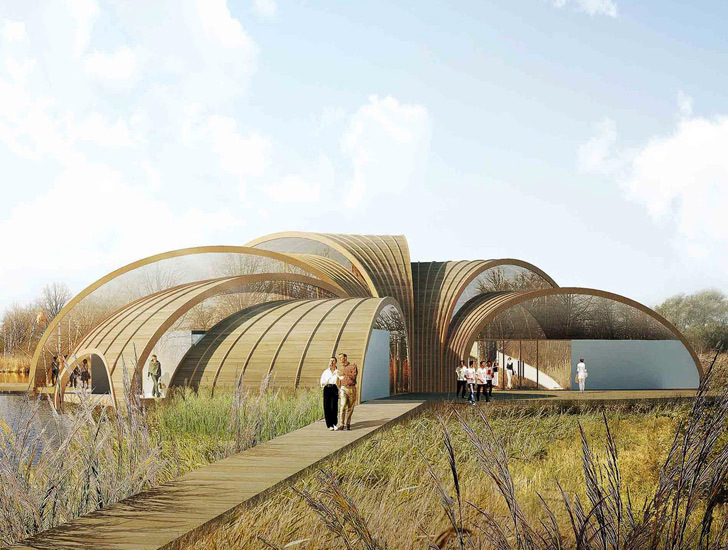 Atelier CMJN‘s Great Fen Visitor Center opens up to the surrounding environment. It’s designed to show visitors how the landscape and water levels change, connecting them with this special rhythm of live. Heating will be produced by a water heat pump, an eolic turbine will generate clean electricity, and rainwater will be collected in a central reservoir.